I've been MIA from my blog since November. It seems to be the case every year as I got busier with Paper Chic Studio and the holiday season with 4 stores to supply to. Adding to that, my helper left mi-October which means I had to do all the chores and find a new routine that will work for me so I can still study with the kids and do other things. I had to sacrifice a few things and those were this blog, my work-at-home job and cooking. Four months later, I still struggle with everything and I haven't really found a routine or schedule that I can follow. I still find doing chores overwhelming, so much chores so little time! There are days where I don't have the time to sweep our floors, too lazy to wash the dishes and there are days where I don't take a bath because I'm just too tired. TRUE STORY! Haha! And this is as real as it gets! There are no perfect moms, just real moms! There's no a guide book on motherhood, we learn from our experiences, listen to our mom's advice and get support from our friends. One thing I've learned early (during my breastfeeding days) is to trust myself and that trust gave me confidence and strength that I can face any challenges that will be thrown my way. Being a parent in this and age can be tough and Baby Dove gets us! 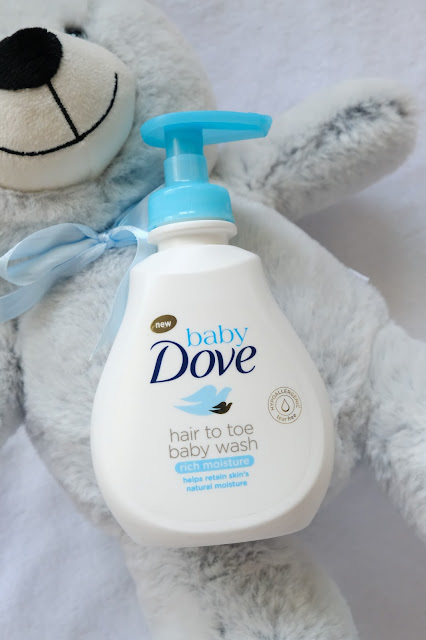 From the brand that is recommended by many dermatologists, comes its newest baby, Baby Dove, to provide real care for our little ones. This came in the mail last Sunday and the first thing I did was opened each one of them and smelled it. Haha! I've been using Dove for the longest time, I've tried all variants and my favorite is the original blue one. I'm so excited to see that they've come up with a line for babies! 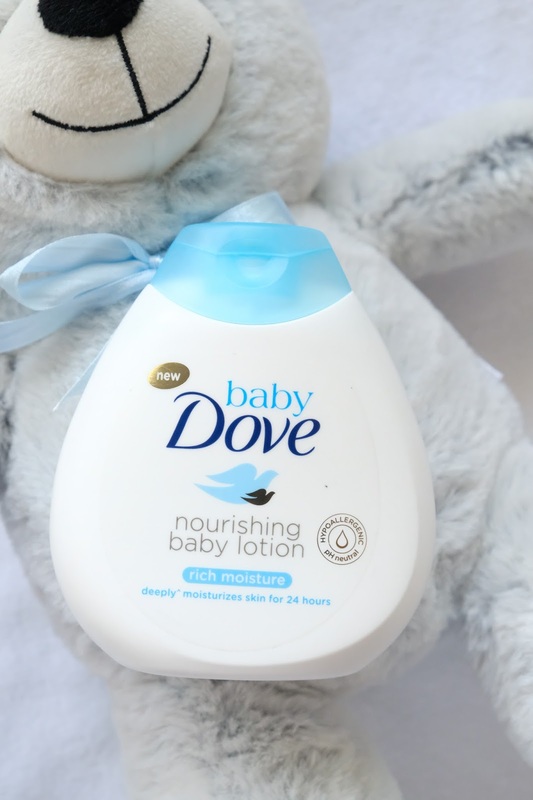 Dove is one the trusted brands of women out there and I love their Real Beauty campaign which speaks about confidence and now they are extending the same confidence to us moms by providing the best care for our baby's skin. Baby Dove Rich Moisture Baby Bar - formulated with 1/4 moisture cream. It's hypoallergenic and and nourishing babybar. 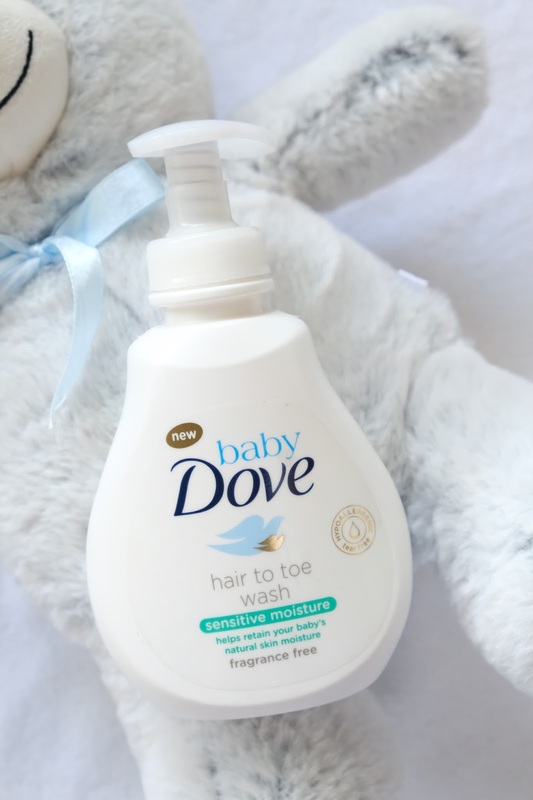 Baby Dove Rich Moisture Hair to Toe Baby Wash is a tear-free and hypoallergenic baby wash and shampoo. I love multitasking products like this! Baby Dove Rich Moisture Nourishing Baby Lotion is also hypoallergenic and a pH-neutral baby lotion. Baby Dove Sensitive Moisture line is also hypoallergenic. It's gentle and fragrance-free! The Hair to Toe Wash replenishes essential for healthy-looking and hydrated skin and is compatible for eczema prone skin. I cannot wait for my kids to try these new body washes and lotion! Other products available for Baby Dove (not in photo) are Rich Moisture Baby Shampoo, Rich Moisture wipes, Sensitive Moisture Baby Bar and Sensitive Moisture Baby Lotion. For more information on Baby Dove, like the Baby Dove PH Facebook Page!